Mathway provides students with the tools they need to understand and solve their math problems. 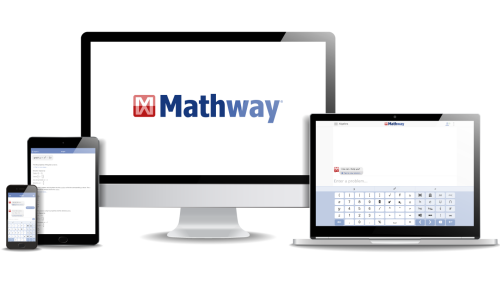 With millions of users and billions of problems solved, Mathway is the #1 problem solving resource available for students, parents, and teachers. Mathway's long-term goal is to make quality on-demand math assistance accessible to all students. Mathway is an ambitious, long-term creative endeavor that will deliver increasing features and functionality over the years to come. For media resources and brand assets, please check out our press kit. Please visit our careers page for information on current available positions.